Retreat to Lake Tahoe and indulge in a one-of-a-kind vacation at Old Greenwood. Nestled in the mountains surrounding the scenic lake area, Old Greenwood’s classic lodge-style timeshares offer upscale, cozy accommodations with upgrades at every turn. Whether traveling with friends, family, or on a romantic getaway, you are sure to fully enjoy all that Old Greenwood has to offer. 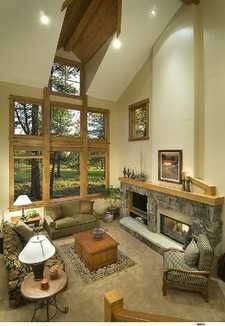 A Lake Tahoe resale offers the ideal getaway with two, three, and four-bedroom timeshares for sale. Old Greenwood timeshares provide upscale accommodations with marble and stainless steel accents throughout. You are sure to make use of its fully equipped kitchen, wood-burning fireplace, stunning floor-to-ceiling windows, vaulted ceilings, a loft area with billiards table, outdoor hot tub, and private gas grilling area. Old Greenwood offers a swimming pool with separate kiddie pool and splash pad, hot tub, and waterslide for fun-filled days in the water. Children will love spending days playing with old friends and new on the resort’s expansive play structure. Adults will have their own fun on the resort’s classic Jack Nicklaus Signature Golf Course, surrounded by majestic pines and sprawling mountain ranges. If relaxation is your goal, a trip to the on-site full-service spa is just the ticket. You can also keep up with your workout routine at the resort’s well-appointed fitness center and several tennis courts. 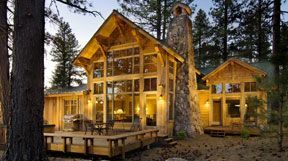 Lake Tahoe offers tons of fun-filled activities for your enjoyment, with Lake Tahoe Nevada State Park offering the ideal location for you to enjoy the glory of nature. The State Park provides crystal clear waters at Sand Harbor, where you can enjoy lounging on the lake’s beaches, boating, fishing, or partaking in water sports. Aside from water activities, the lake provides many opportunities for hiking, biking, horseback riding, and wildlife viewing. Contact Old Greenwood Specialist Today!